The City of Greeley Water Conservation Program continues a program to assist local landscapers in obtaining professional certification. 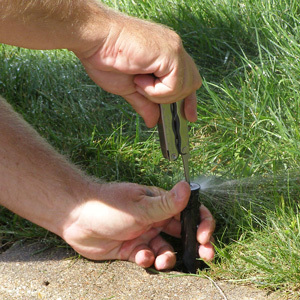 Any owners or employees of landscape and irrigation companies who install or maintain properties in Greeley and that take the Certified Landscape Technician (CLT-I) exams in Irrigation for the first time can receive a rebate from the City of Greeley. The rebate will only be granted if the applicant achieves certification by passing the written exam and hands-on testing. Please contact Kevin Hartley at 970-336-4228 or Kevin.Hartley@greeleygov.com if you have any questions or would like to apply for the rebate. Registration and testing information is available at alcc.com/certification.